As Donald Trump prepares to become U.S. president on Jan. 20, the future of NAFTA is in doubt. 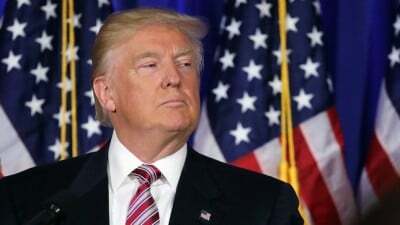 He has promised to either renegotiate or withdraw from the trade agreement. Despite the outcome of the 2016 presidential election, there are still many different existing North American integration mechanisms that remain in place. Over the last year, the globalists have quietly laid the foundation to ensure their continental agenda continues. They are positioning themselves so they can try to better influence the new Trump administration in advancing deeper economic, political and security integration in North America. 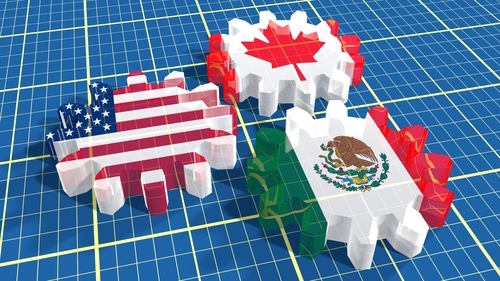 At the North American Leaders Summit (NALS) in June of last year, the U.S., Canada and Mexico agreed to the formation of a North American Caucus. A Government of Canada press release explained how the initiative is designed to, “enhance cooperation on regional and global priorities by establishing a consultation mechanism that will meet twice a year. This mechanism will support regular meetings of the North American Foreign Ministers and other annual multilateral policy dialogues.” The North American Caucus, “will also encourage collaboration on emerging political developments and security concerns, as well as promote cooperation on regional energy security, climate change, environmental issues, economic competitiveness, and citizen security and health.” During a press conference at the most recent NALS, President Barack Obama acknowledged, “we’re going to do more to speak with one, united North American voice on the world stage.” The North American Caucus is part of efforts to merge the foreign policies of all three countries. As part of the 2016 NALS, the NAFTA partners launched the North American Dialogue on Drug Policy as a means, “to exchange information on drug trends, increase trilateral coordination on drug policy, and develop actions that our governments can take to protect our citizens from harmful drugs and drug trafficking.” On October 27, 2016, the North American Dialogue on Drug Policy held its inaugural meeting which, “focused on the shared illicit drug problem, from production and trade to consumption and misuse.” The discussions also, “resulted in the identification of best practices, methods to gather data from multi-sectoral perspectives, and helped identify possible trilateral lines of cooperation to address North American drug challenges.” The three governments are scheduled to meet again later this year to review the progress they have made in strengthening collaboration on drug issues affecting the continent. During the last NALS, the leaders also announced the creation of the Stakeholder Dialogue on North American Competitiveness. The new forum gives the private sector and non-governmental organizations a chance to contribute ideas on increasing competitiveness across the continent. On September 29, 2016, the Wilson Center hosted the first annual Stakeholder Dialogue. The talks focused on competitiveness, as well as energy and the environment. The participants included representatives from the Council on Foreign Relations, the George W. Bush Institute, the U.S. Chamber of Commerce, Exxon Mobil and Wal-Mart, along with various other groups. The meeting also produced a series of recommendations, which will help build the agenda for the next NALS. Some of the proposals put forth by the Stakeholder Dialogue could play an important role in reshaping NAFTA. If Trump goes ahead with plans to renegotiate the trade deal, the corporate elite will no doubt try to persuade him to make changes that will benefit them even more. In November 2016, the George W. Bush Institute released the policy paper, Investing in North American Competitiveness. It recommended establishing, “a new North American border infrastructure bank to drive a market approach to planning, financing, and coordinating border projects.” In addition, the Institute proposed expanding continental, “access to common technical credentials for frontline work in manufacturing and logistics.” The report noted that, “Executing on these initiatives requires a commitment on the part of our three governments to sustain attention to a North American strategy for competitiveness, which itself requires a high-level commitment to regular North American Leaders’ Summits with structured follow-up.” In order to achieve better results, the leaders have established a regular trilateral coordination process to ensure implementation of NALS commitments. During his presidency, George W. Bush pursued deeper North American ties through the Security and Prosperity Partnership. A week after the U.S. election, Bush delivered remarks at the North American Strategy for Competitiveness (NASCO) 2016 Continental Reunion. He took the opportunity to defend NAFTA and called for further strengthening economic and trade relations with Canada and Mexico. The Bush Institute also updated their North America Competitiveness Scorecard. Once again, North America was ranked as the world’s most competitive economic region. As part of efforts to counter negativity surrounding the NAFTA partnership, the Institute stated, “Despite misguided rhetoric to the contrary, now is the time to reinforce our North American bond, not dissolve it.” Keeping the NAFTA framework intact is an important part to the globalist agenda. After Brexit and Trump’s election victory, the globalists have been busy regrouping. They are not about to just roll over quietly and are planning their next decisive move. A Clinton presidency would have been a continuation of the Obama administration’s disastrous foreign policies and would have been especially favorable to their overall agenda. With the collapse of the Trans-Pacific Partnership (TPP), the globalists have an opportunity to shift their focus to renegotiating and modernizing NAFTA as a way of further deepening North American integration. It is imperative that we continue to resist the mechanisms, which threaten our sovereignty. We need to guard against any attempts to incorporate the controversial elements of the TPP into a upgraded NAFTA.